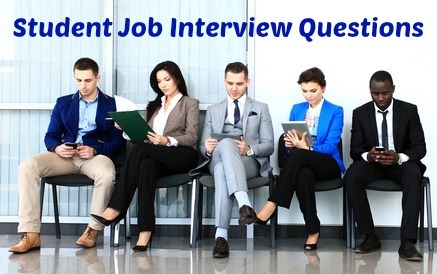 The definitive student job interview question and answer guide. Whether you are a high school student, college student or recent graduate we will help you stand out from the crowd and make the right impression in your job interview. 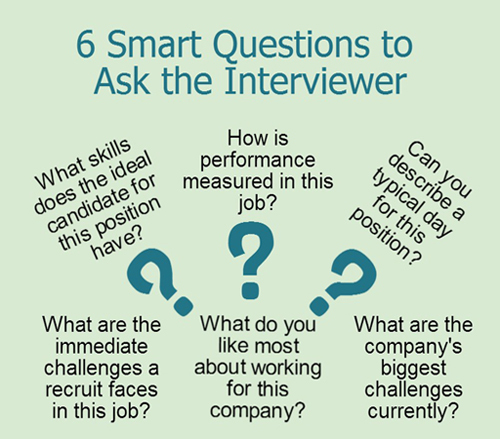 These interview questions demand preparation and research. Ask for a job description, research the company, get whatever relevant information you can on the job and the company. Go beyond what you find on the company website and follow their social networks. Create a list of how you match the required skills, the company ethos and how you can contribute to company objectives. Students typically lack work experience so focus on relevant transferable competencies that are key to job performance such as a strong work ethic, willingness and ability to learn and assimilate quickly, problem analysis and solving, decision-making, organizing and planning and communication skills. See the 12 core competencies required for successful job performance. What has been your biggest achievement at College/School? Focus on an achievement that sets you apart from the other candidates and highlights your potential value to the employer. Answers such as getting your academic qualification are to be avoided as they do not distinguish you from other students, unless you had to overcome exceptional challenges. However the employer is also not looking for super-hero stuff but rather evidence that you have the skills they want in an employee in this job. Look at successes where you used competencies such as your communication skills, initiative, creativity, persuasiveness, organizational skills, resilience and perseverance to achieve a demanding objective. What goals have you set yourself for the next 5 years? This is hard to answer with absolute specifics, so focus on general career objectives rather than job titles and narrowly-defined goals. Good examples include supervisory responsibility, increased skills set, training and learning objectives. Use the company website or LinkedIn profiles to get an idea of the sort of career paths employees have followed. This will help you determine realistic career routes within the organization. How would your professors or teachers describe you? Focus on the characteristics that match the job opportunity. What made you a good student and team member? Competencies that are valued in any employee/employer relationship include hard-work, responsible, conscientious, dependable, adaptable, honest, enthusiastic, organized, disciplined. You can refer to your references and recommendations to support your interview answer. This is all about displaying sufficient insight into yourself to acknowledge your areas of strength and where you can improve. Focus on those strengths that are relevant to the job opportunity. This list of strengths and weaknesses will really help you with this question. Use your research to highlight the match between this job and your skills and interests. Focus on areas that are critical to the job such as the opportunity to apply your knowledge, to work through complex problems, to improve systems, to be part of a dynamic team, to meet demanding challenges. Relate specific job responsibilities to your education and whatever work experience you may have. Focus on how your personal motivations align with the company's mission and goals. The complete guide to answering behavioral interview questions will help you prepare good answers. Remember that you can use examples from both your academic and extracurricular activities. Tell me about a tough challenge you had to overcome. Possible challenges a student has to deal with include balancing multiple demands, meeting deadlines, managing finances, working with other students to achieve group objectives, obtaining the right resources to complete a project. Most jobs involve teamwork so be ready for this type of question. What was your role in the group and what did you specifically do to ensure team goals were met? Possible examples include a group project, an extracurricular event or volunteer work. Tell me about a time you had to carefully manage your priorities to meet a tight deadline. Have you ever disagreed with your professors/teachers in evaluating your performance? How did you handle the situation? Please describe a situation where you had to come up with an innovative solution to a problem. Tell me about a time you had to make a difficult decision, how did you go about this? 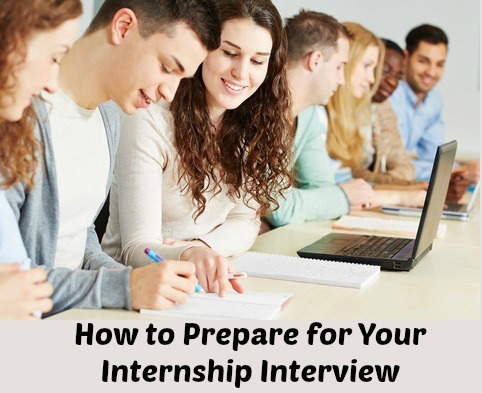 Be ready with a number of insightful questions to ask the interviewer. These 6 smart questions are a good starting point. This interview checklist will make you feel confident that you have everything covered for your interview. What to do when you don't know the answer in your student job interview. Always follow up after your job interview.